This past summer, the NASA space shuttle Endeavour took its 25th and final voyage to the International Space Station to deploy a device called the Alpha Magnetic Spectrometer, a cosmic ray particle detector that scientists hope will help make breakthroughs in our understanding of dark matter, anti-matter, and the origin of the universe. Carried along for the ride into space was a Canadian flag and a ceramic tile featuring William Osler’s coat of arms. 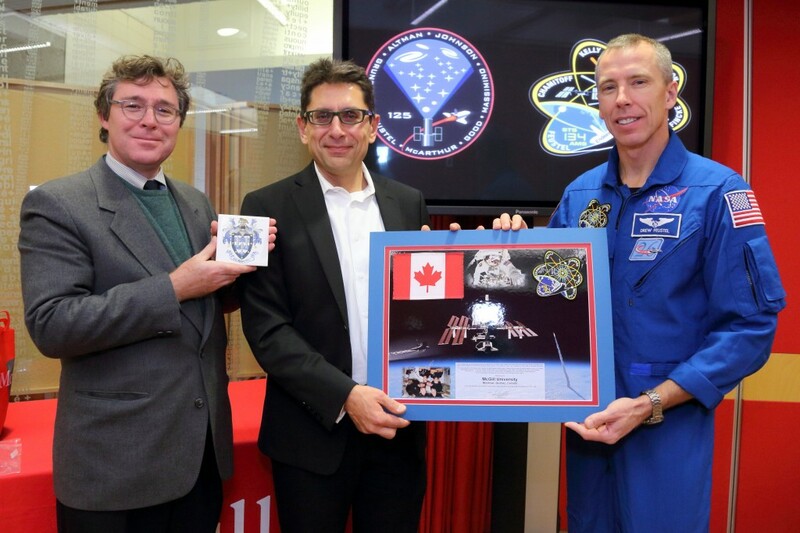 This was presented to McGill by American astronaut Andrew Feustel in a ceremony last month. 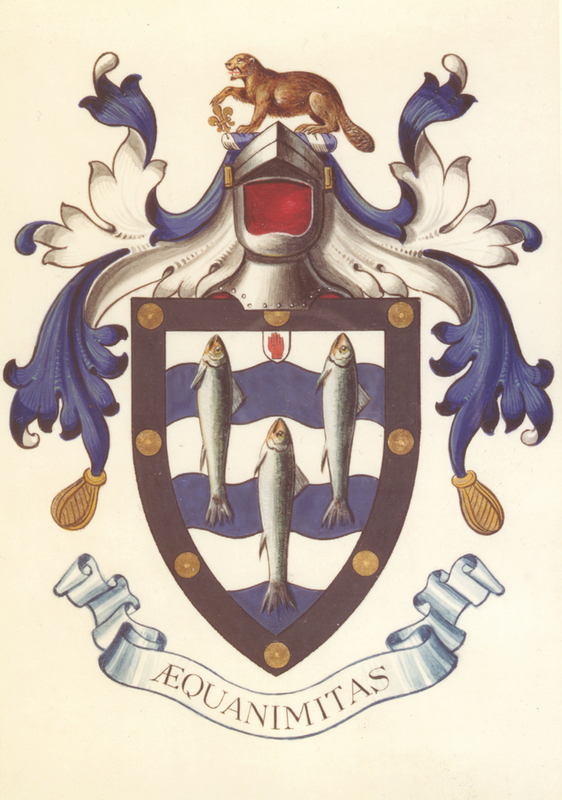 Osler’s coat of arms. He was knighted in 1911 and chose a beaver and a fleur-de-lis as armorial symbols to represent his Canadian heritage. 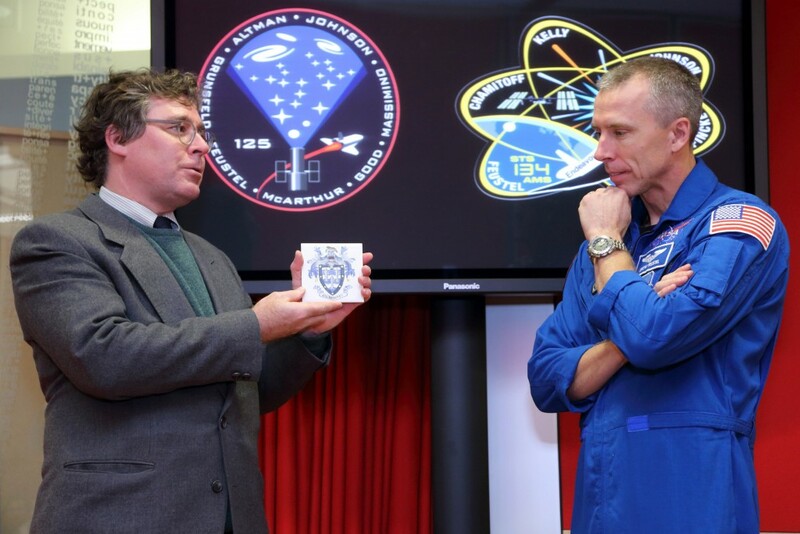 Presentation of the tile to the Osler Library, with head librarian Chris Lyons and astronaut Drew Feustel. Osler head librarian Chris Lyons holding an artifact that has traveled 6.5 million miles in 248 orbits of the Earth. We recently had the pleasure of welcoming PhD candidate Justin Rivest as an Osler Library Travel Grant recipient. Justin grew up on a farm in southwestern Ontario and did his Bachelor’s and Master’s degrees at Carleton University. His MA is in History (Early Modern Europe) and he is currently a PhD candidate at the Institute for the History of Medicine at Johns Hopkins. 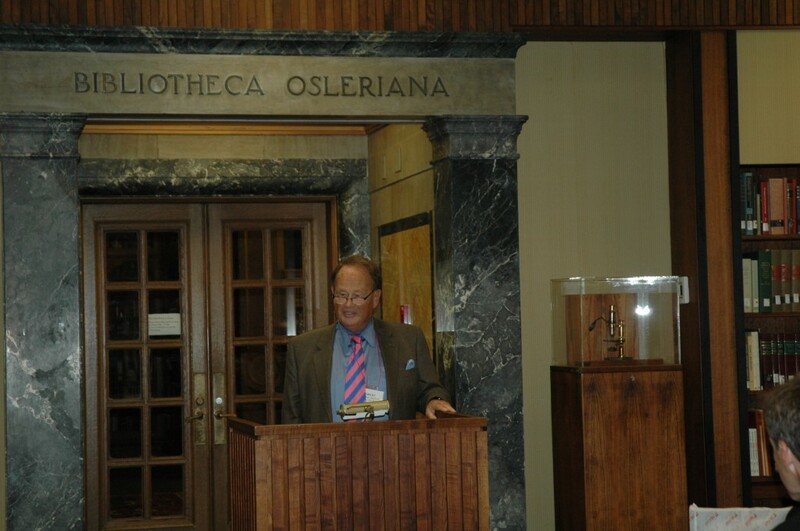 Here’s what he had to say about his recent trip to the Osler Library. Title-page of Albumasar’s De magnis conjunctionibus. Bibliotheca Osleriana 1760. My work at the library grew out of my MA thesis, which was a study of French almanacs and prognostications from the 1490s-1550s and led me to an interest in the links between astrology and medicine. While my dissertation has come to focus on a different topic (proprietary remedies in seventeenth century France), Renaissance astrology has remained a persistent research interest. I’d been looking for an opportunity to spend some time with a good collection of Renaissance astrological texts, with the goal of better understanding how almanacs and prognostications were produced. I was pleased to find good collection of early printed astrological treatises at the library, including a copy of the Ephemerides Magistri Johannis de Monte Regio, a series of celestial ephemerides for the period 1492-1506 produced by the 15th century German mathematician Regiomontanus, which was probably the most interesting and useful thing I was looking at during my visit. Ephemerides were one of the most important tools available to Renaissance astrologers, furnishing the raw data and tables of planetary movement needed to create astrological charts, birth horoscopes, or annual prognostications of the general conditions in the coming year, such as are found in almanacs. Modern day readers might typically associate almanacs with farmers and weather, but early modern almanacs were often produced by learned physicians and contained important medical information. The positions of celestial bodies and the moon were understood to affect the human body. While a birth horoscope could tell a physician about an individual patient’s humoral complexion, medical almanacs gave doctors and barber-surgeons general information for tabulating propitious days for therapeutic interventions such as bloodletting. For example, a common piece of advice was never to let blood from a part of the body if the moon was in its associated sign, e.g. Aries for the head or Pisces for the feet. This medical information would be placed alongside other things such as the dates of new and full moons, feast days, etc. that we would normally associate with a calendar. Almanacs of this type were initially circulated in manuscript form, but the advent of print vastly expanded the audience for almanacs and provided increasing numbers of astrologers with the astronomical resources (like Regiomontanus’ ephemerides) needed to produce them. 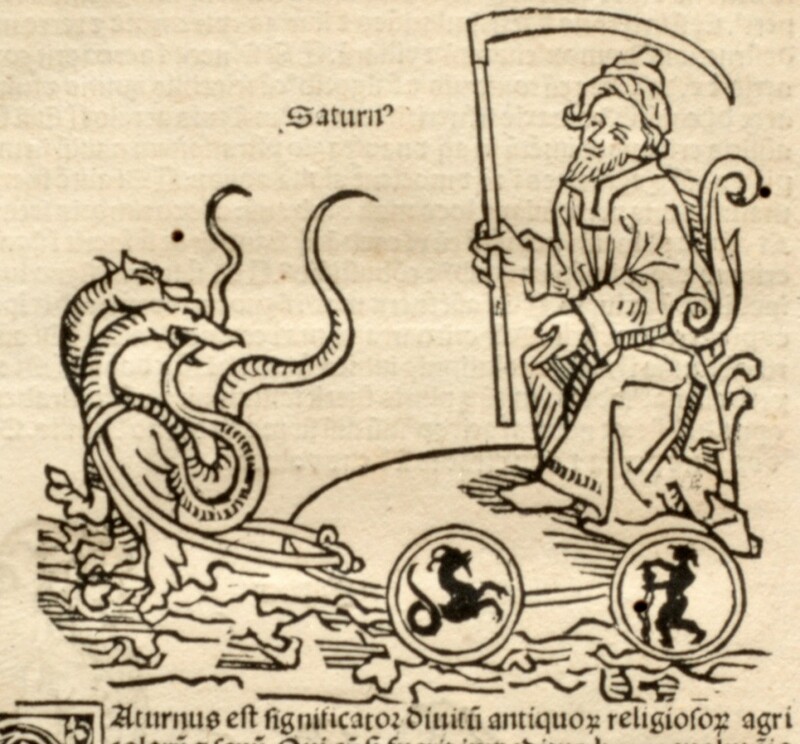 Depiction of Saturn from Albumasar’s Flores astrologiae. B.O. 7410. By the end of the fifteenth century, almanacs were drawing on data about the planets and signs of the zodiac to predict everything from warfare to drought and plague, based on sets of associations drawn from natural philosophy. The five known planets and the twelve signs, for instance, were associated with the four qualities of hot, cold, wet, and dry, the four elements, the four humours, the four seasons, and even the classes of society. Saturn, for example, was associated with the rich, religious men, farmers, and the old, so the state of Saturn in the heavens could affect their conditions on earth. As for what led me to this topic: in general I’m fascinated by the medieval and Renaissance view of an integrated cosmos, designed by a provident creator to be full of associations and sympathies. The associational framework of astrology, with its harmonies between the heavens, the elements, and the human body, strikes me as one of the most beautiful manifestations of this view of the cosmos. 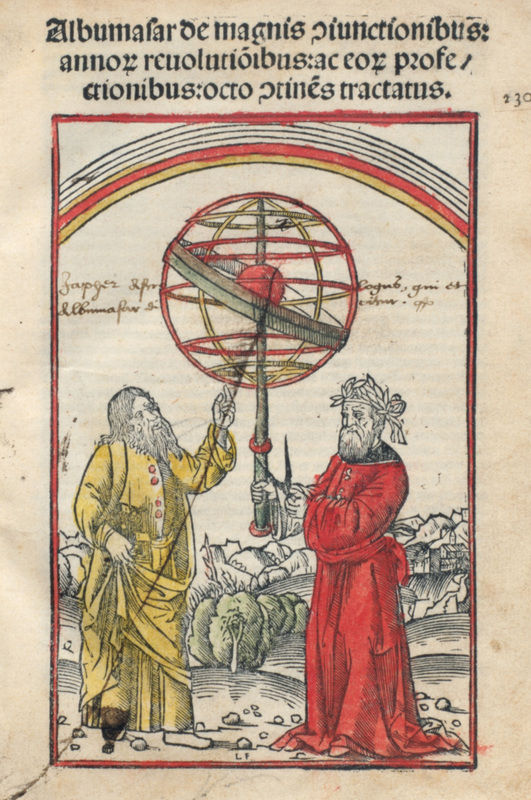 Read more about Justin’s work in the latest issue of the Osler Library Newsletter and stay tuned for another upcoming entry on Renaissance astrological tables. 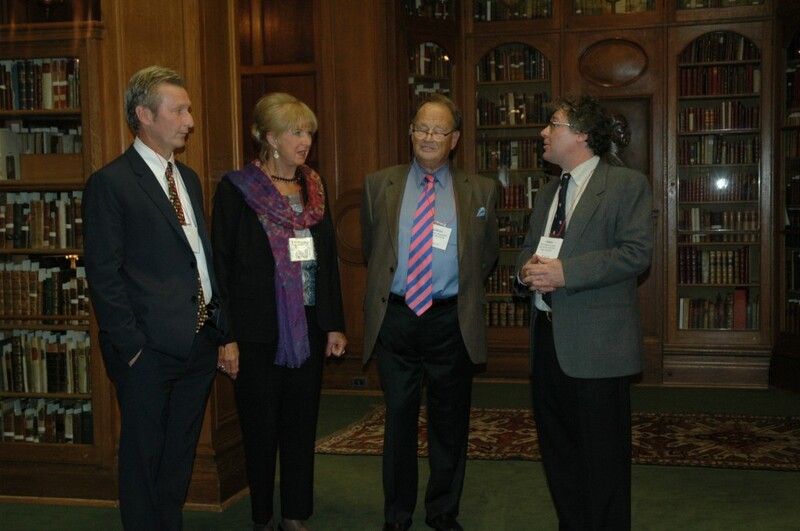 On October 18, the Osler Library played host to a very special event honoring Dr. Robert Melnikoff for his support of the Osler Fellowship programme, dedicated to pairing practicing physicians with medical students at McGill’s Faculty of Medicine to encourage them to consider the professional and healing roles of the doctor. 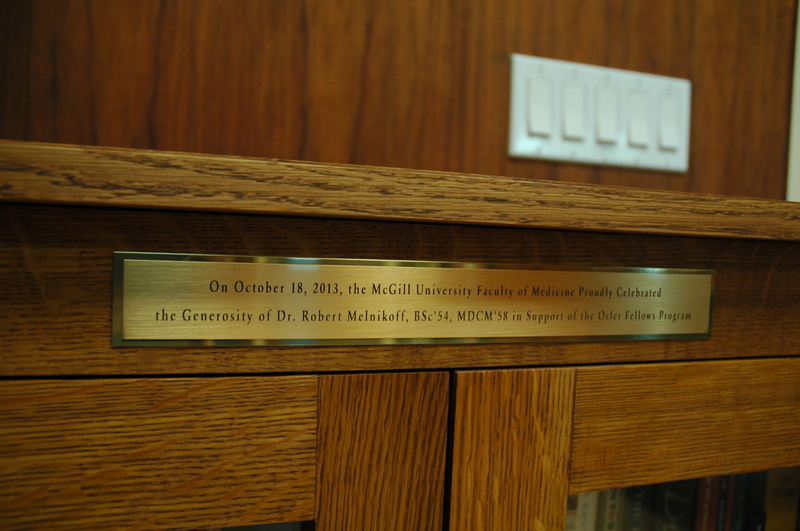 Dr. Melnikoff presented the library with a bookcase to house the volumes selected as part of the Osler Fellows’ Library, a collection of books to support the mentorship aims of the programme. The bookcase will be kept on the 4th floor of the Osler Library. 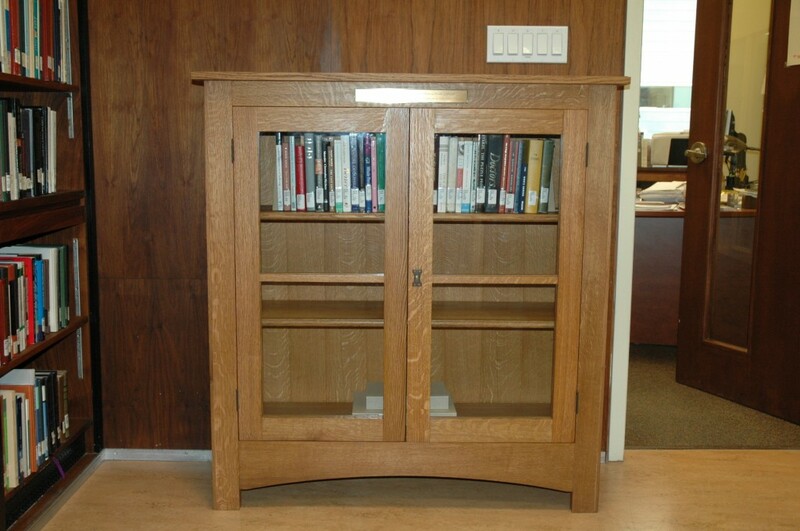 Interested in finding out what’s in the Osler Fellows Library? Have a look here. We are currently accepting applications for our research travel grant. The Osler Library Research Travel Grant is endowed through the generosity of graduates of the Class of Medicine of 1936, and is supported by the Faculty of Medicine of McGill University. It is designed to assist scholars who would like to travel to and establish temporary residence in Montreal in order to use the resources of the library. The grant is available to historians, physicians and those interested in the arts and humanities of medical history. It carries an award of $1,500 (Canadian) and must be held from 2-4 weeks during the calendar year of 2014. $2,000 will be made available to those requiring 4 weeks to complete their research. Applications for the 2014 grant must be received by December 31, 2013. Candidates will be informed of the results early in 2014. Please find the application form on our website. The latest issue of the Osler Libary Newsletter can now be found in electronic form on our website. Articles from no. 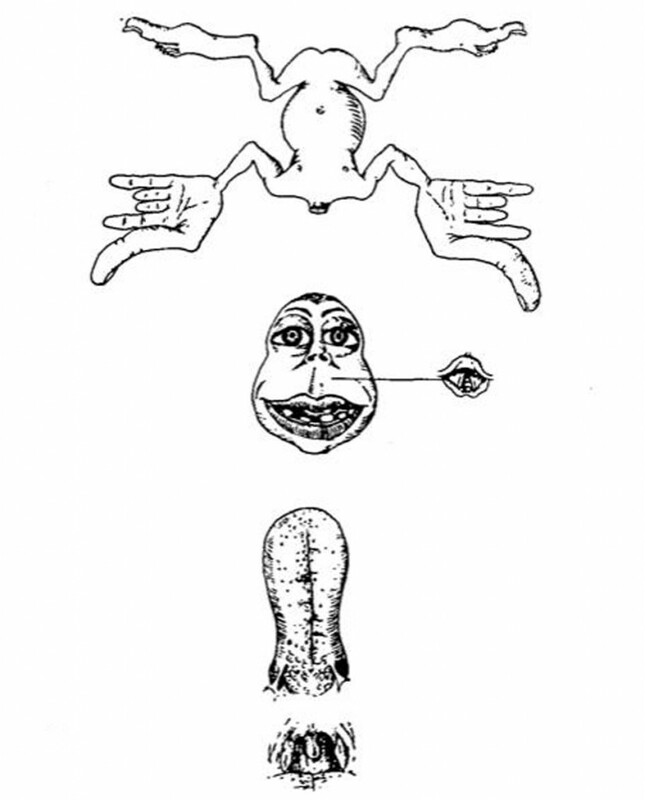 119 include a look at how Renaissance doctors predicted the future, a comparison of William Osler and Norman Bethune’s religious heritages, an investigation into our collection of smallpox vaccination literature, and a history of Wilder Penfield’s famous homunculus. John McCrae’s poem remains one of the most influential pieces of Canadian literature and gives us our most enduring World War I imagery: the red poppies. Born in Guelph, Ontario, McCrae was a career soldier and practicing physician. Before the war, he worked at the Montreal General and the Royal Victoria Hospital, and taught at McGill. Although McCrae was a trained physician, he joined an army fighting unit at the outbreak of the First World War. There, he experienced some of the first chemical weapons attacks during the second battle of Ypres in Belgium. The story goes that McCrae penned his poem after the burial of a close friend and medical school colleague, when he noticed the poppies growing over the graves. This manuscript, written in McCrae’s hand, was left to the Osler Library among the literary archives of fellow physician and McGillian John Andrew Macphail. 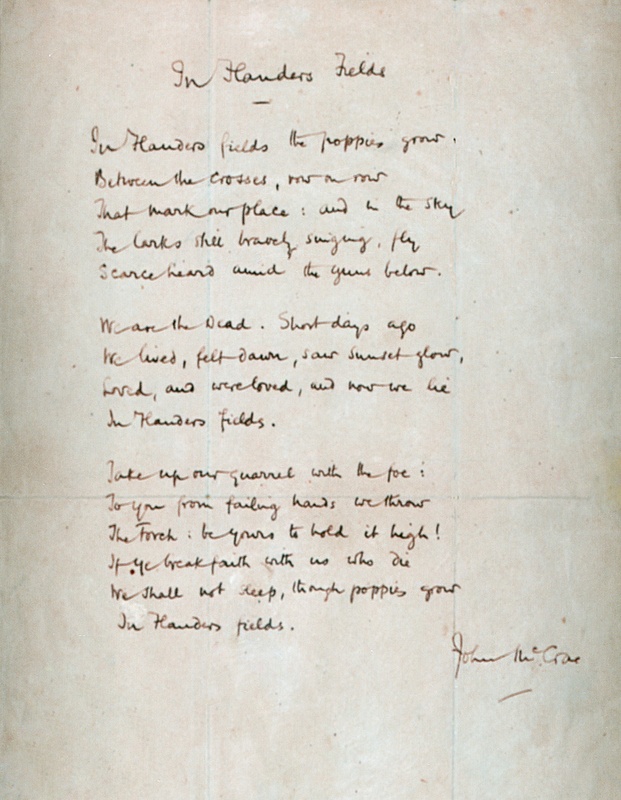 In this manuscript, McCrae ends the first line with the word “grow.” This is a change from the published version, in which the line finishes “blow.” McCrae wrote out this copy of the poem in a 1916 letter to a friend, Carleton Noyes, modestly mentioning that this piece had achieved some notoriety. The library also has a second early copy of the poem. It is found in the diary of Clare Gass, which recounts her experiences as a nurse with the Canadian Army Medical Corps in France and England in 1915 and 1916. Gass was born in Shubenacadie, Nova Scotia, on 18 March 1887. She left home for Montreal to train as a nurse at the Montreal General Hospital School of Nursing from 1909 to 1912, working afterwards as a private nurse. After a brief training period in Quebec, she left for Europe in May of 1915 as a Lieutenant nursing sister with the Canadian Army Medical Corps, No. 3 Canadian General Hospital (McGill). 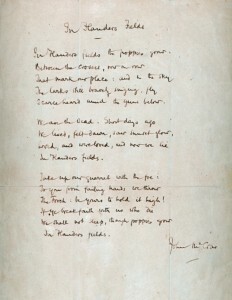 In her diary, “In Flanders Field” is copied out in an entry dated October 30th— nearly six weeks before the poem’s first publication in the magazine Punch on December 8, 1915. After that, it quickly became the most popular piece of poetry of the age. In the quiet & still air of delightful studies… open up one of these October arrivals. Irish insanity, 1800-2000 / Damien Brennan. Barnsley : New York, NY : Routledge, 2014. New in the Routledge Advance in Sociology series, this book investigates the national public asylum system in Ireland that was established during the early nineteenth century. You can find a review of this book in journal Nurse Education in Practice [McGill users only] or listen to an interview with the author on RTÉ, an Irish radio program. Lament of the dead : psychology after Jung’s Red book / James Hillman & Sonu Shamdasani. New York : W.W. Norton & Company, 2013. Two scholars dissect and discuss Carl Jung’s Red Book, a manuscript book of texts and illustrations that the psychoanalyst created as a record of his unconscious over the course of more than 15 years. You can read a brief review of this book in Publisher’s Weekly (and find a translation of the Red Book here). Die Steinschneider : eine Kulturgeschichte menschlichen Leidens und ärztlicher Kunst / Dieter Hauri. Berlin : Springer Verlag, 2013. Calculi, otherwide known as stones, that form in the kidneys or bladder have long afflicted patients and preoccupied doctors. Lithotomy (literally, “cutting stones”) is in fact one of the oldest surgical procedures practiced. This book provides a cultural history of the ailment and its treatment throughout history. To catch a virus / John Booss and Marilyn J. August. Washington, DC : ASM Press, 2013. This book weaves together stories and historical research to paint a picture of the history of diagnostic virology, from the 1793 yellow fever outbreak in Philadelphia to the discovery of HIV/AIDS in the 21st century. You can read a review of this book in the journal Clinical Infectious Diseases [McGill users only]. Le Corbusier’s Venice hospital project : an investigation into its structural formulation / Mahnaz Shah. Burlington, VT : Ashgate Publishing Company, 2013. While Le Corbusier’s urban projects are generally considered confrontational in their relationship to the traditional urban fabric, his proposal for the Venice hospital project remained an exercise in preserving the medieval fabric of the city of Venice through a systemic replication of its urban tissue. This book offers a detailed study of Le Corbusier’s Venice hospital project as a plausible built entity. In addition, it analyses it in the light of its supposed affinity with the medieval urban configuration of the city of Venice. Please note that the Osler Library will close today at 12 for a special event. Access to the circulating book collection on the 4th floor will still be available via the Life Sciences Library staircase. Tomorrow, the three finalists from the Osler Society and Osler Library Board of Curators Essay Contest will present their essays. 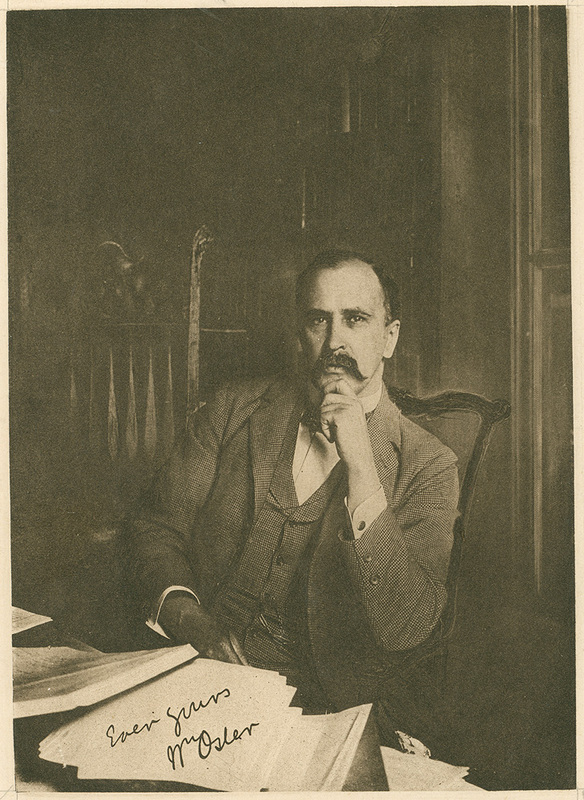 Osler at His Desk in Baltimore. From the William Osler Photo Collection. The contest gives undergraduate medical students the opportunity to explore a theme of interest to them in the history, social studies, ethics, and humanities of the medicine. Through the course of writing their essay, they are mentored by an expert in their topic drawn from the Osler Library’s Board of Curators, the Department of Social Studies of Medicine, or elsewhere. 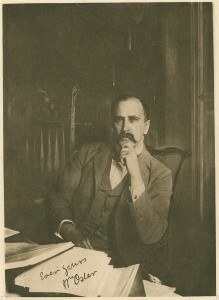 It is also a chance to use the rich resources and expertise of the Osler Library to craft their essay. Out of 20 student proposals, 8 essays were submitted and 3 finalists have been chosen. Please join us from 9:30-11:00 in room 210 of the McIntyre Medical Building to hear from our three finalists. The winner will be announced at the Osler Banquet on Wednesday, November 6.